The heavy metal band Lethal Saint, from Nicosia, has been confirmed for the next Power of the Night XI festival, the upcoming summer 2016! 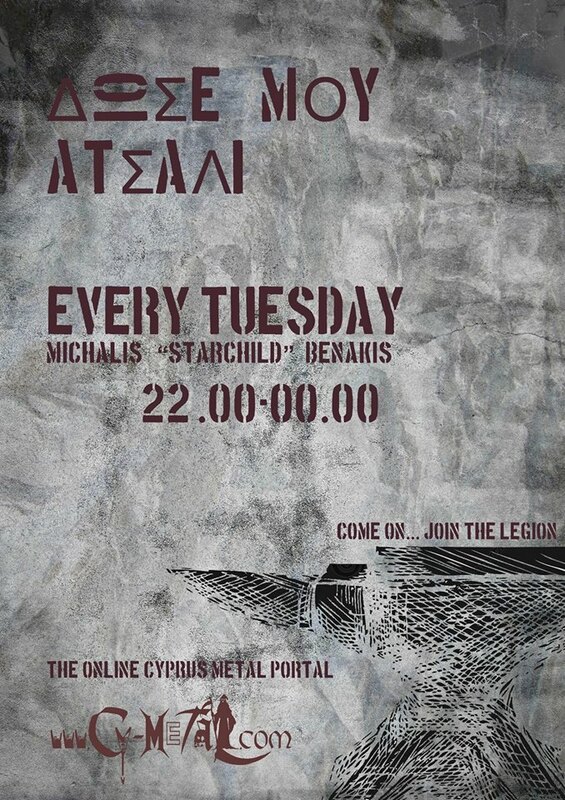 Hailing from the island of Cyprus, in mid 2006, three youngsters: Andreas Kasapis (Guitars), Christis Isseyegh (Drums) and Christos Papadopoullos (Guitars) decided to form a band that would proudly encompass the tunes of Heavy Metal, and gave it the name “Lethal Saint”. Shortly after the formation of Lethal Saint, in early 2007, Andreas Pouyioukkas (Lead Singer) joined and completed Lethal Saint’s fleet. Along with various local guest-bassists, Lethal Saintstarted to perform live by joining some local festivals along with other Cypriot Metal bands. In the summer of 2007, Lethal Saint released their first 4-song Demo Album. The album was a great success, so Lethal Saint carried on, writing more songs and giving concerts all around Cyprus. Then in the summer of 2008, Lethal Saint was titled “Band Of The Year” in Cyprus, after winning the first place at the “Band’s Fest” competition, organized by Fishbone Records. Shortly after that, Lethal Saint started recording their first complete self-titled album in the studios of Fishbone Records. The album was then released in early 2010 under the label of Pitch Black Records. After the album’s release, Lethal Saint was interviewed by various local and international radio stations, including “The Classic Metal Show” in New York. Then, in early 2011, Lethal Saint was asked to participate in a tribute album, by Skol Records, for the band Metalucifer. Lethal Saint’s cover of “Heavy Metal Drill” is on the tribute album which it was released at the 2011 “Keep It True” Festival. 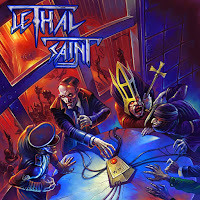 Lethal Saint then carried on releasing a 3 track single named “Saint Strikes Back” which the cover art was made by the well known French artist Chris Moyen, giving more Heavy Metal tunes and proudly spreading the name “Lethal Saint” around the globe. Supported Helstar on two live shows in Greece, performed live on the Up The Hammers festival in Athens along with great bands names in the scene and continued the local gigs. After that we nailed a deal to release this single as a 7inch vinyl limited to 500 copies, which it was a co-release by three labels Emanes Metal Records (FR), Under Siege Records (FR) and Dying Victims Productions (D). 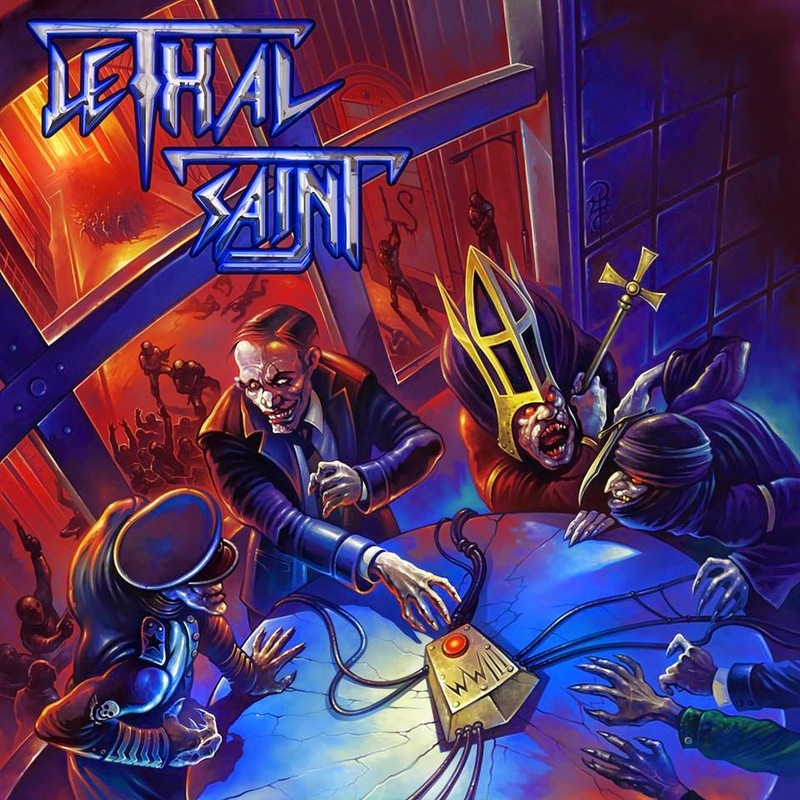 After lots of complications, in April of 2014 “Lethal Saint” finally found the chance to work on their latest album, which was an overall effort of four hard working months to produce their best work so far, “WWIII” (Third World War).